I’m always looking for ways I can educate my children on local and global issues surrounding poverty, lack of education, and homelessness. I want to get them involved in community causes because I truly believe this teaches them social responsibility and most importantly it broadens their knowledge and overall awareness. This knowledge, in turn, increases their capacity for compassion, and empathy. If you’re looking for a local cause that gives back to our community Modern Fort and Ruben’s Shoes two local community campaigns, have put their creative minds and big hearts together. This school year they are collaborating on an ongoing campaign and the goal of the campaign is to create positive change on a local and global level. I’m a huge supporter of Modern Fort, and I’m consistently in awe each month of their designs, and collaborations. 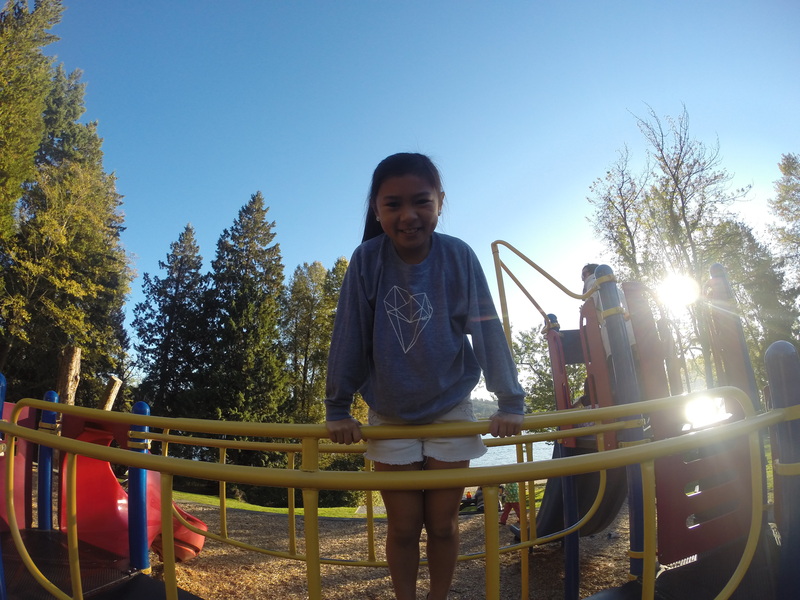 Each piece of apparel they design, specifically supports a cause close to their heart. If you’re unfamiliar with Modern Fort, you can read more about what they do in an earlier post I wrote here. In addition to my ongoing love for Modern Fort, I’m also a HUGE fan of Ruben’s Shoes! “The goal at Ruben’s Shoes is to create awareness about global issues through local education. They educate, inspire and empower local children to be champions and lead initiatives such as shoe drives and fundraising projects that benefit children around the world who are just like them but are living in different circumstances. They do this because in countries like the Dominican Republic many children are not attending school simply because they do not own a pair of shoes. 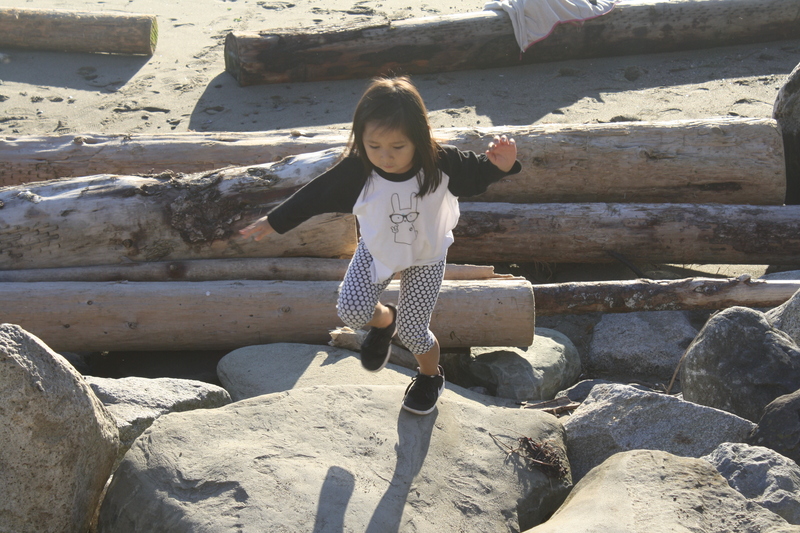 By collecting and delivering gently used shoes and investing in projects that deliver education we can help our global neighbours break out of the cycle of poverty and create equal opportunity for all children no matter where they are born. My girls and I have donated many gently used shoes to Ruben’s Shoes. 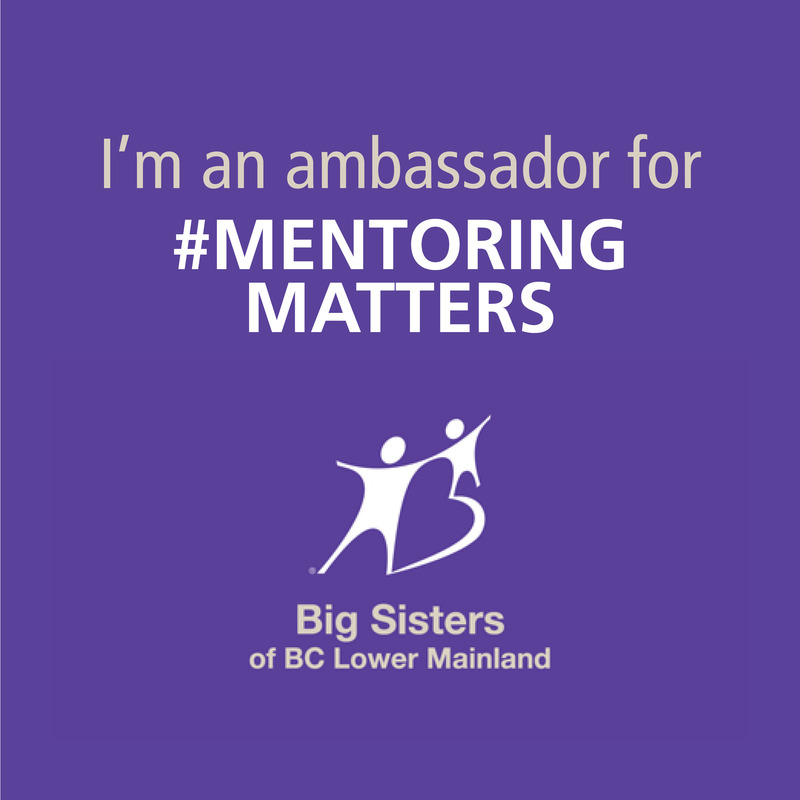 I’m beyond excited about this collaboration, and I’m looking forward to watching the positive change it brings to school-age children in our community. 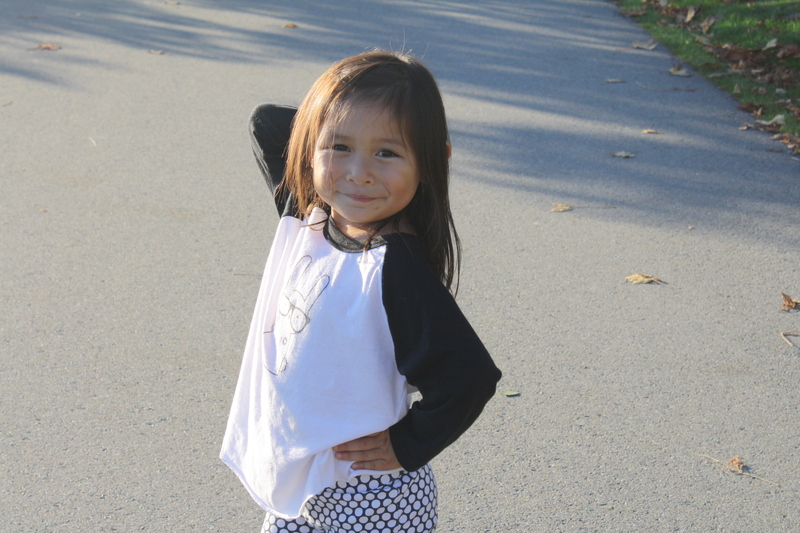 To support this mentorship program and the creativity of these young minds, Modern Fort created a couple new designs for their kids line that will be supporting Ruben’s Shoes. For the first time, their sizes will also range from 6-12 months,one-pieces to 12 youth. It’s a new generation of kids helping kids, by design. 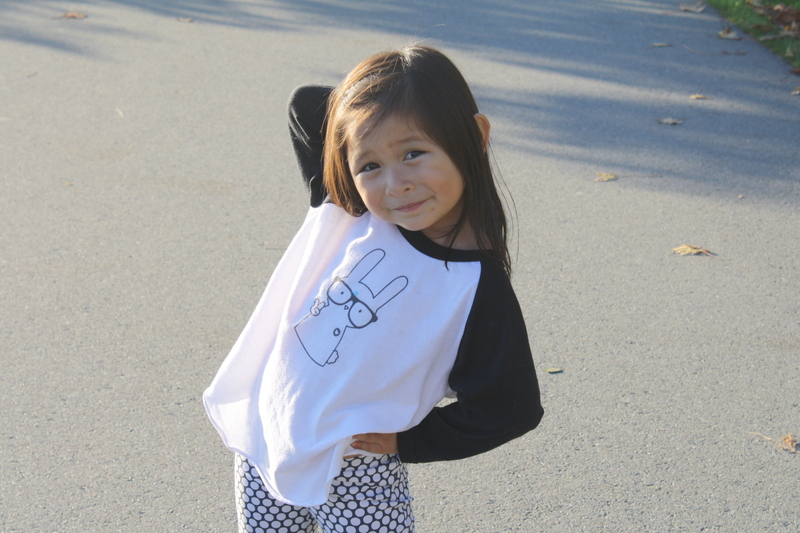 The popular ‘Hipster Bunny’ and ‘Geoheart’ design will continue to support education based projects for Ruben’s Shoes and are perfect for the littlest of little’s and school-aged kids. I’m not sure if my children will be fortunate enough to have Modern Fort & Ruben’s Shoes tour their school, however, my girls can show their support when they wear their tees! When they wear their Modern Fort tees I do my best to explain to them that the shirt they’re wearing is making positive change. Although my youngest isn’t quite old enough to grasp exactly where the proceeds are going, or where exactly the Dominic Republic is, it still opens up a conversation about education, poverty, and giving back. My other two daughters are fully aware and feel proud wearing clothing that’s making a difference. 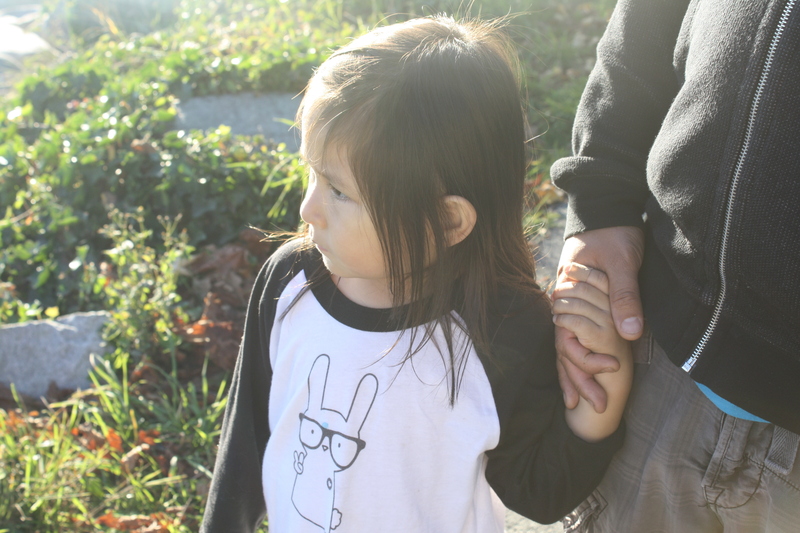 Here’s some photos of my youngest wearing the ‘Hipster Bunny’ Tee, this design is the cutest! Grab some for your kiddos before they’re gone! Ps. The size 12 youth might just fit you, so you can match your little! 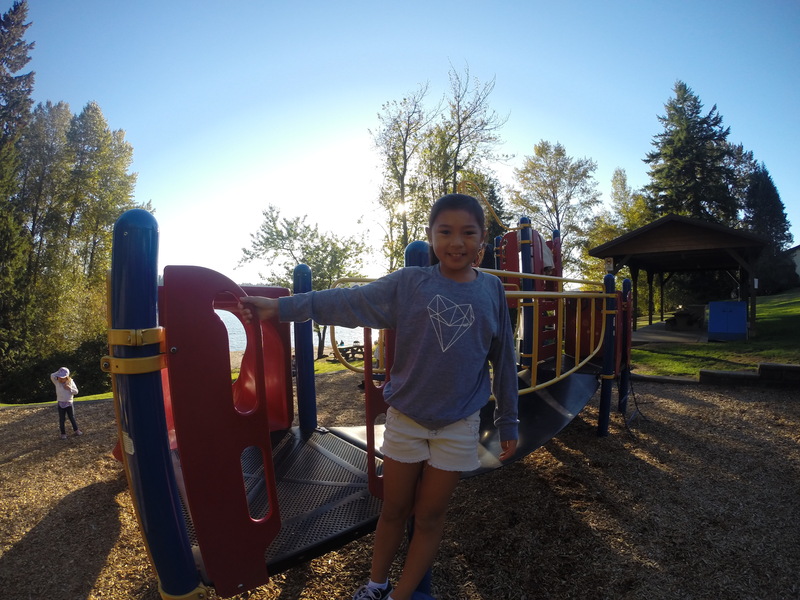 And, here’s my daughter in the ‘Geo Heart’ tee, she just loves it! Happy Shopping for a cause friends! * I received two shirts from Modern Fort as compensation for this post. I’m a huge supporter of both community causes and all opinions expressed are authentically my own.